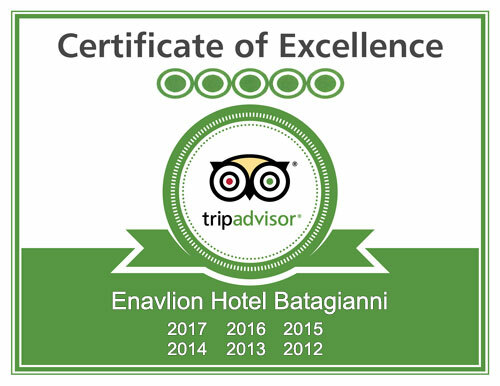 Welcome to Enavlion Boutique Hotel of Batagiannis family. Beautiful appointed in the heart of Golden Beach and just two minutes walking distance of the all blue sea of the Aegean, the boutique style hotel with marble floors and beautifully decorated classical style rooms is a perfect start of an unforgettable experience on the magnificent island of Thasos! 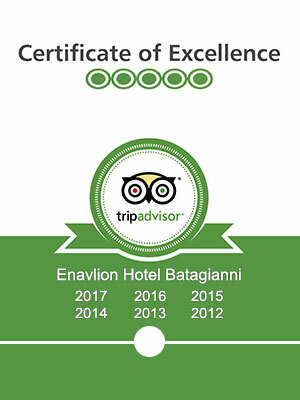 Its reputation for cordial hospitality, splendid cuisine and flawless service, combined with the elegance and the luxury amenities you would expect from a 5 star property on very affordable price, is the main reason which our guests return year after year! Our Rooms & Suites finely decorated following a neoclassical architecture style with hand-crafted furniture, hand painted walls, luxury amenities and hi-end devices aim to give you a home like feeling for optimal comfort and ultimate relaxation! We would like to welcome you to an unforgettable journey! When you book directly with us, you always get the best rates available. 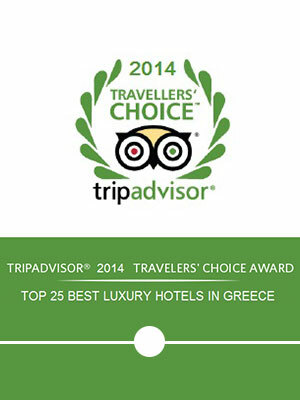 No booking fees or credit card charges and safe booking process. Pay Directly at the Hotel and get instant discount. 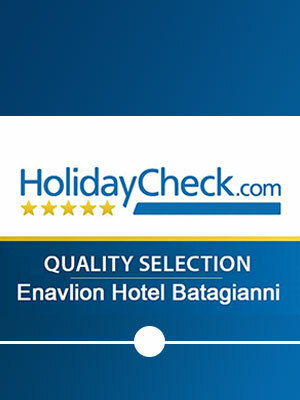 Pay directly at the hotel for your stay at the time of checkout. You are not required to pay the whole amount in advance when you book directly on our website. 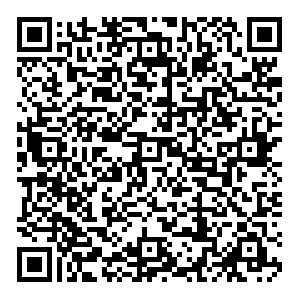 Please contact directly the hotel for more details. Enjoy an exquisite meal at our award winning restaurant from our large collection of modern and traditional Greek and Mediterranean cuisine, prepared with pure traditional ingredients of our region. The long experience in the art of cooking of our chef Argyri Batagianni, promises an unforgettable journey into a world of flavors!